I was invited by the Malaysian Institute of Accountants to deliver a talk on 4 March 2014 focusing on the insolvency-related provisions of the Companies Bill. It was an interesting session, with a lot of questions and a lively discussion among the participants. 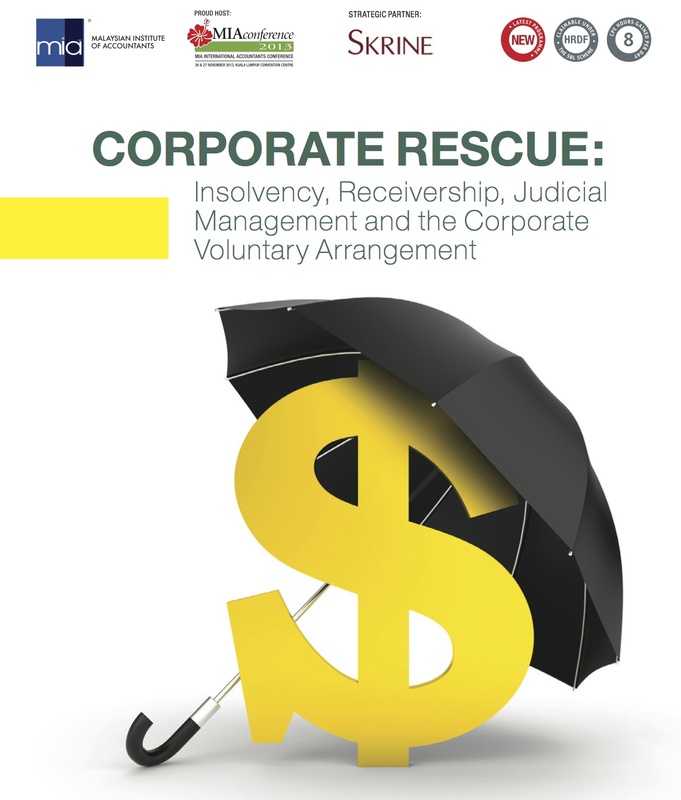 The areas I touched on were the changes to the receivership, winding up and schemes of arrangement provisions, and the introduction of judicial management and the corporate voluntary arrangement. A copy of my slides can be downloaded here. The Court of Appeal in Yayasan Bumiputera Sabah & Anor v Apoview Wood Products Sdn Bhd  7 CLJ 593 (see here for the Grounds of Judgment of the Court of Appeal) considered the issue of whether a receiver and manager (“R&M”) could continue with an action on behalf of a company when a winding up Order was granted and a Liquidator appointed. In this case, the action was in respect of machineries owned by the company. The Court of Appeal held that a winding up of a company after the appointment of the R&M only terminated the R&M’s personal powers but not his in rem power in that the R&M continues to retain possessory rights conferred by the Debenture to take custody and control of all assets charged under the Debenture, as well as the right to institute an action in the company’s name for the recovery of such charged assets. In this case, the machineries had been charged under the Debenture. The R&M’s right to the machineries therefore did not disappear when they were wrongfully disposed of to a third party. The winding up of the company would only deprive the R&M of any power to carry on the business of the company as its agent so as to create debts as against its unencumbered assets. Hence, the R&M and the court appointed liquidator in winding-up can exist side-by-side and each exercised separate duties and powers under the Companies Act 1965, in particular s. 236 and the Debenture.